SUPER CLEAN ONE OWNER TRUCK WITH A CLEAN CARFAX!! THIS XLT SUPERCREW 4X4 HAS OVER $12,000 IN EXTRA COST OPTIONS!! 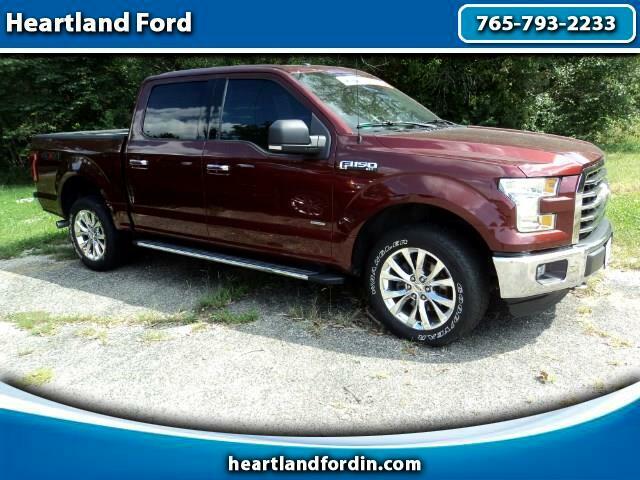 HAS VOICE ACTIVATED NAVIGATION, HEATED SEATS, REAR CAMERA, REMOTE START, POWER REAR SLIDER, LED BOX LIGHTING, CHROME PACKAGE, BLIND SPOT INFO SYSTEM, TWIN PANEL MOON ROOF, TAILGATE STEP, 20" WHEELS, INTEGRATED TRAILER BRAKE CONTROLLER, 3.5L ECOBOOST ENGINE, 3.31 ELECTRONIC LOCKING REAR AXLE... SUPER CLEAN AND LOADED WITH THE OPTIONS YOU WANT!! CALL OR COME IN TODAY AND MAKE THIS BEAUTIFUL F-150 YOUR NEXT TRUCK!